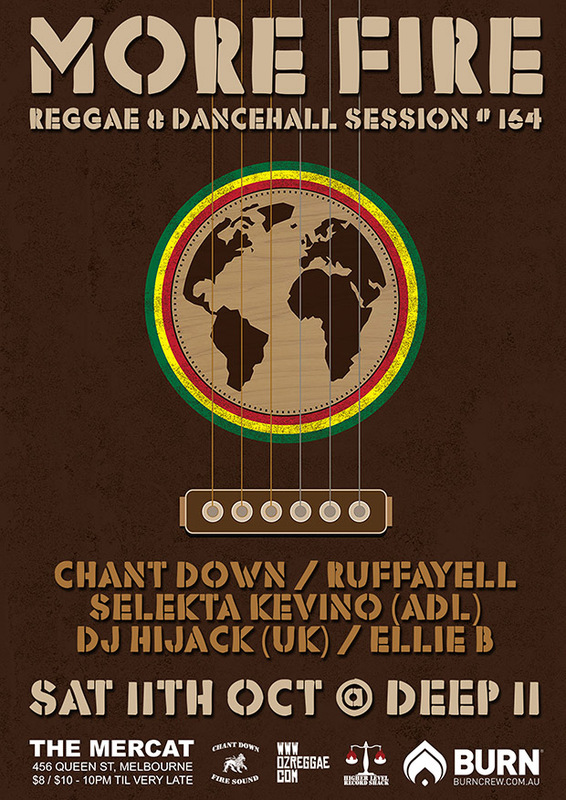 Chant Down keeps the fire blazing for Australia’s longest-running reggae night, mixing the best new roots and the freshest dancehall together with vintage classics, custom dubplate specials, and live vocals in a soundsystem style. Residents Jesse I and Ras Crucial will be joined in October by guests Selekta Kavino (Adelaide), DJ Hijack (UK), Ellie B, and Ruffayell. Strictly reggae and dancehall; no crossover, no compromise! More Fire # 164 takes place on Saturday 11th October at Deep 11 (Mercat Cross Hotel basement, 456 Queen St, Melbourne). Doors open at 10pm, with a cover of $10 or $8 for concession holders, and PBS FM members.